Some tools will also help you organize a potluck or other party contributions, let you pick themes and offer recipe and decor suggestions, or include other party planning fieatures. Google Calendar (or any other online account calendar) will let you create an event on your calendar and then invite others to it. If you want the basics, this is enough. Then, create an event. You might need to sign up with the tool first, or it might let you just get going. Click Create an event or whatever the button is, and then fill in the day, time, location and other details. Click Save and you’ve done most of the work. Next, there will be an option to Invite or Add Guests. Click on that and enter your guests’ email addresses or choose from a list of your social network friends. There will probably be a place to type in a message inviting them to the event – add something cheerful but don’t repeat all the information in the event itself. When you’ve got everyone entered, click on Send to send out the invitations. If you need to change the event information or add guests, you can do that at any time. The tool you use will probably ask whether you want to send a message out with the updates or email the new guests – do this so your guests know that something has changed. You can also Send a Message to all guests or just folks who have RSVPd yes or maybe to give them the new details or remind them that the event is coming up. Some invitation tools will automatically add your event to your guests’ online calendars, and send them reminders as the date of the event approaches. Since you probably used your email address to create the event or sign up for the tool, you’ll receive notifications as your guests RSVP. If not, you can always go back and visit your event to see who has said yes, no, or maybe so far. Once the event is over, your event page can stay up as a place for people to leave messages telling you what a great time they had, or you can hide it. That’s usually your choice, depending on the tool you used. What’s most useful about this is that it lets you keep all your event information in one place, online, where your guests can see it and keep track of it and their RSVPs. It also lets you easily track RSVPs and attendance numbers for your event, and might even let you manage potluck or other party contributions all in the same spot. Just like many of the other things we’ve looked at, it’s a one-stop party planning powerhouse of a tool. If you have Yahoo or Google, it’s easy to just create an event in your online calendar and invite a few guests using their email addresses. If you want to do a bit more, try out Anyvite or Punchbowl for a complete party planning experience. Push the buttons and see what special features each tool has, and see which one works best for you and the event you’re planning. If you’ve found any other online party planning or invite tools to be really helpful, post them in the comments below. This entry was posted in This Week on LLO, Tools and tagged anyvite, collaborative planning, collaborative work, events, evite, facebook, facebook events, google calendar, google plus, punchbowl, signupgenius, tweetvite on July 16, 2012 by Jennifer Koerber. Going from practical to fun, let’s look this week at social games – those games you see everyone playing on their smartphones, tablets and laptops. Social games are exactly that: online games that you can play on a social network like Facebook, or games that require social activity to play. Some are just board games played online (like Scrabble or chess), while others feel more like video games with monsters and quests. However, the most uniquely social games don’t look anything like a real-world games; instead, you are part of an online world where you might be a farmer, or an aquarium owner, or a mafia don. You earn points for doing all the things that a farmer or don would normally do, and by working with other friends playing the game, you can earn more points and get to higher levels of play. The big difference between social games and most other games is that the game never ends. You might win individual rounds, but there is no ‘finishing’ the game. Just like real life social interactions, you keep going until you choose not to play. First, these are games. They’re easy to learn, easy to play and – because they’re usually on a mobile device – easy to take anywhere. Just like any other video game, board game, or physical game, players enjoy figuring out how the game works and getting good at it. Then, there’s the social aspect. Even when you can’t physically be near your friends, you can still play games against them. Your best friend might just be at work or at home across town, or might have moved to the other side of the country or the world, but you can stay connected by playing a game ‘together’ whenever you want. Finally, not only do you get to play games wherever you are and with friends near and far, but you can use those networks of friends to help you play the game by sharing experience, game money, or by lending another sword to the fight. Have more friends, conquer bigger monsters or farm bigger farms, earn more prizes, then get more friends as you explore new places in the game. See the fun, yet? Farmville is one of the oldest and most popular games on Facebook. Each player creates a farm, where they can virtually plow, plant and harvest crops and trees. Players also care for their farm animals: milking their cows and collecting eggs from their chickens. As you tend to your farm, the game posts updates to your Facebook timeline and your friends can see and share in everything you do, especially friends who also play Farmville. Zynga – creators of Farmville – have nearly a dozen Facebook games, all of which are social games. Words with Friends is a word-building game based on Scrabble – play letters to create words and earn points for each letter you play. You create an account, and then you find other friends who are also using Words with Friends and challenge them to a game. Since it’s a smart device app (for iPhone, iPad and Android), you can play it anywhere! Draw Something is also an app-based game, where you draw clues to help the other player guess the word you’ve been given. Draw Something also lets you send messages to friends within the game, save the drawings you make and send them to Facebook and Twitter. Available for iPhone, iPad and Android. This entry was posted in This Week on LLO, Tools and tagged draw something, drawing, facebook, farmville, games, online gaming, social games, social networks, words with friends, zynga on May 21, 2012 by Jennifer Koerber. My apologies – we never went back and looked at the main Facebook Account settings after walking through the Privacy Settings. For our final April is About Accounts post, let’s quickly look at Account Settings in Facebook. To get to the Account Settings menu, click on the little triangle near your name in the upper right corner of the screen, then choose Account Settings. The various Account Settings sections will be in a menu on the left side of the next screen. General settings are where you would change your name, username, password, or the email associated with your Facebook account. Security settings are for keeping your Facebook account secure from people trying to break into it. It’s a good idea to read through and understand each of these options, and keep your account as secure as possible. Notification let you turn on and off all the email or text messages you get from Facebook telling you that someone’s posted to their Timeline, replied to a comment you left, sent you a message, tagged you in a post, or did anything else in Facebook. All you have to do to turn a notification on or off is click into the box next to that item. Again, take your time with this section and understand what’s going on. Subscribers receive your public posts and will not be added as friends. If you want to be a bit more public on Facebook, but keep your personal conversations more private, allowing subscribers is the way to go. If you’re using any Apps on Facebook, you can manage all the settings for them in the Apps section. If you want to send notifications to a mobile phone, you can add your number in the Mobile section. Note: If you have a smartphone, it’s probably a better idea to use the Facebook app for your smartphone. 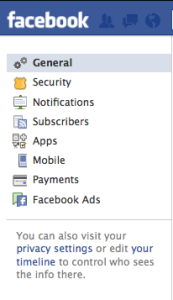 The Payments settings allow you to pay for apps and goods & services directly through Facebook. I wouldn’t recommend using this feature unless you’re very comfortable with online purchasing already, so you can keep yourself safe. At the bottom of the settings menu, you’ll see the Facebook Ads section. This is a very important place to really understand what’s going on. Facebook makes most of its money by selling ad space to companies – those ads over on the right side of your screen – but you can control exactly how much of your information is visible to the advertisers. Ads by Third Parties are exactly that: ads you see from companies other than Facebook. Right now, Facebook doesn’t actually share any information with these companies, but they might someday. To make sure your information isn’t shared, click on Edit third party ad settings and select No One from the drop-down menu. The Ads and Friends section lets you set whether or not Facebook can “pair your ads and friends” to let you know what your friends like. Again, unless this is a feature you really want to have turned on, you can shut it down by clicking on Edit social ads setting and choosing No One from the menu. I’m including a few of the resources from the earlier Facebook settings post, because they’re just as useful for this one. This entry was posted in This Week on LLO, Tips for Living Life Online, Tools and tagged account.settings, facebook, privacy.settings, settings, third-party ads on April 30, 2012 by Jennifer Koerber. Note: We’ve moved the short look at Timeline that was here to a later post, with more details and suggestions. Check it out! That said, with Timeline and other new features Facebook has developed, it’s more important than ever to understand the security and privacy settings on your account. So let’s walk through some of these settings and explain what they mean. We can’t cover every single setting, but we can look at the most important ones. Up in the upper right hand corner of every Facebook screen, you’ll see your name, the word “Home” and a triangle pointing downward. That triangle means that there are more menu choices. Click the triangle and you’ll see options for Account Settings, Privacy Settings, and the links to Log Out and get Help. [My account has a few extras, for Pages that I manage for other groups.] We’re going to skip Account Settings for the moment and look at Privacy. Privacy Settings. When you click on Privacy Settings, you’ll see a page that starts by reminding you that you can set the privacy level for every single post you make on Facebook. This is good to remember – you get to choose whether something you post is only visible to Friends, to a list you’ve created, or to the Public. Underneath that, you can set a default setting for all posts; I’d recommend by limiting everything to Friends to start with. Underneath that are the more specific settings that you can control. Next to each one, click on Edit Settings to see what you can change. For most of these settings, you can choose to let different things (posts, tags, etc.) be visible to No One (but yourself) or Only Me, to your Friends, to all the Friends of your Friends, or let it be Public. I suggest you work your way slowly through the How You Connect and Timeline and Tagging settings, because they’re pretty easy to make decisions about. Next are probably the most important settings to understand. The Apps, Games and Websites or Apps and Websites settings control what kind of information that sites and apps other than Facebook itself can see and use about you. These are called third-party apps and they include any app created by some company other than Facebook. Most of the games and ‘fun stuff’ in Facebook are actually these third-party apps, and you want to make sure that you only let them see the bare minimum of information needed to use them. A game doesn’t need to know your hometown and an app for the Washington Post doesn’t need to know what your address is. Click on the Edit Settings link for Apps, (Games) and Websites and READ THE WHOLE PAGE that comes up before you click anything. Then, if you don’t use any games or other apps in Facebook, you should Turn off all apps. Once you click Turn off apps, many of the words on this page will turn grey and the settings will say, “This is disabled because you turned off all apps.” That’s good – this makes your information as secure as it can get. Nothing has access to it unless you permit it. You might find that when you click on links that other people share, it asks you to let that app do something. THINK CAREFULLY before you click Yes. See the example of a Social Reader app that wants to know an awful lot about me before it will let me read an article someone posted. Do you really want to let this app work, and give it access some of your information? If you’re okay with that, go ahead and click yes. You can always change your mind later by visiting the Apps section of your Account Settings and blocking specific ones. The last two Privacy Settings sections let you make your past posts more or less public (now that it’s easier to see them using Timeline), and to manage Blocked People and Apps. This is another good section to spend some time with, so you can stop getting those game invitations and friend requests from people you don’t care about. You can also add people to a Restricted List, so they can only ever see your public posts. You don’t need to unfriend them, but you can limit what they can see of yours. So, why do all these apps want access to your information? Because they are businesses, and they are trying to make money by analyzing you and figuring out what you might want to buy from them. Yes, it’s all about advertising and selling information and stuff. We’ll talk more about this later on this month, but for now, just remember that any time you use a tool for free on the internet, it’s because You are the product being bought by advertisers and other companies. 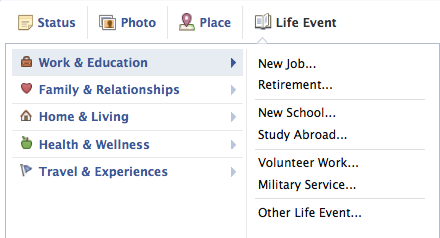 Yes, there are a lot of settings you can change to manage your privacy in Facebook. It seems overwhelming, but it’s really a good thing. You get to keep as much control as possible over what information about you is shared on this social network, with and without your knowing it. As always, the best way to learn about something is to play with it: take your time, read everything on the screen, and make sure you get help when you need it. For the rest of this month, we’ll look at other types of settings you should find and understand in all of your online accounts. If you have a Facebook account, start with learning these, and next week we’ll look at more places to keep yourself safer online. This entry was posted in Basics, This Week on LLO, Tools and tagged facebook, facebook timeline, privacy, security, settings on April 9, 2012 by Jennifer Koerber. When the internet began, the only way to share interesting information online was to copy and paste it into an email, or forward one email message around and around. Nowadays, the web is built for sharing neat stuff. From social networks like Facebook and Google+ (G+) to video and photo sharing sites, it’s easier than ever to share the interesting links that you’ve discovered. The easiest way to share a link is still to just copy and paste. At the top of your browser, you’ll see the address bar. Inside of that field is the web address or URL, usually starting with “http://www.[something]”. Click into that address bar and highlight the entire URL. Then, either click on Copy (under the Edit menu at the top of your screen) or use Ctrl-C or Command-C to copy the item. Next, just paste the URL wherever you want to share it from – into an email message, into a Facebook status update, into a comment you’re writing, into a blog post of your own. Click on Ctrl-V or Command-V, or Paste from the Edit menu and the full URL will appear. No need to type it all out yourself; let the computer do the work of remembering all the numbers and letters. If you’re a bit more comfortable with a mouse and are on a web page, you can right click on the link you want to share and choose Copy Link Location. This avoids the possibility that you don’t highlight the entire URL in the address bar before you copy it. Sharing a link in a Facebook status update can be as easy as pasting a URL into a status update, but do get a few more choices. First, when you paste that URL into a status update, Facebook knows you’re linking to a web page and will add a little preview of that page, including the title, a bit of text and an image. You can get rid of the image by clicking the box next to the words No Thumbnail, and you can click on the preview text to delete or change any of it. You can also share to the public or to just your friends by changing the Audience drop-down on the post. Sharing something that a friend posted on Facebook is even easier. At the bottom of the post, click on Share. Facebook will ask where you want to share this item – your Wall, a friend’s Wall, or in a private message to someone. Pick the destination you want and follow the steps until you’re done. Finally, all it takes to share a photo or video via Facebook is to upload it. Click on Add Photo/Video at the top of the page, then either upload a single photo/video or Create a Photo Album to add many photos of the same event or thing. Walk through the steps and when you’re done, your photos or videos will be shared on your Wall or Timeline. Copy the link that they offer you, just like you did in the address bar. Now you can paste that link into a status post, email message or as a link on a page. Most websites and tools will let you share items in one of the ways described above. Before you just cut and paste the URL, look around on the page and see if you see a Share button to click. Try clicking and see what happens – the service will probably just walk you through the steps you need to share using either a link or by embedding an image or video. A word of caution: If the service requires you to create a new account with them before you can share something, stop and pause for a minute. Ask yourself if you really want to create a new account just for this, or if just copying and pasting the URL is fine. You don’t need to create accounts just because a website tells you so. Remember that you get to choose what you do and don’t want to do online, including signing up for a new service. Pause, and decide what you want to do next. Next week, we’ll take a step backwards and look at how to find neat stuff online. Stay tuned…. This entry was posted in Basics, Big Ideas, This Week on LLO, Tips for Living Life Online and tagged big ideas, facebook, flickr, google plus, life online, sharing, uploading, youtube on February 21, 2012 by Jennifer Koerber. Ah, Facebook. It seems like everyone is Facebookin’ these days, from the high schooler across the aisle to your mother (it’s the only way to keep track of everyone any more, right?). But what is it, really, and how is it useful to you? Facebook is a social network – a place where people go to stay connected to friends, family, coworkers and aquaintances online. To create an account on Facebook, go to the main page and fill in the information under the words Sign Up. You will need an email address before you begin; you can quickly set up a free account with GMail or Yahoo!Mail if you don’t have an address yet. 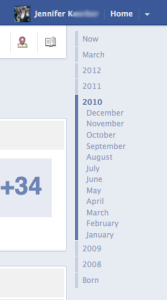 If your family and friends are already on Facebook, then it’s another place to tell them what you’re up to. You can easily share updates, videos, neat web sites, or photos. It’s a great way to invite people to events, and you can use the chat and message features to talk a little more directly to individuals. People are using Facebook to reconnect with old school friends and past coworkers. They’re also “liking” their favorite places, musicians, famous people & TV shows to get the latest news. Facebook (or any social network) is no substitute for getting to know people in person, but it can help to keep folks connected even when they’re far apart. 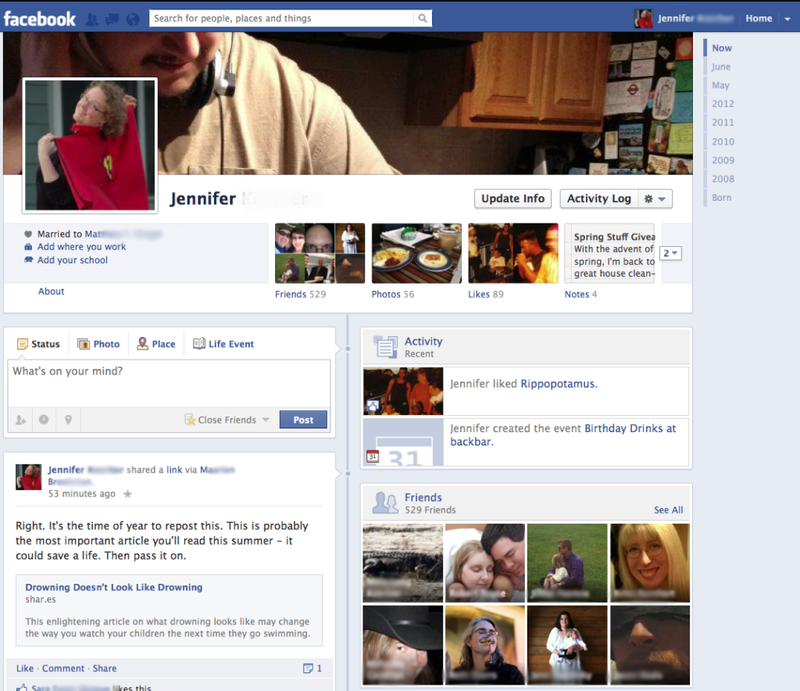 If you don’t want to create a Facebook account right now, you can still see what it looks like. Check out the Boston Public Library Facebook page or the Learning for Life Online page and click around to see what’s there. If you do want to jump right in, go to Facebook and get going. 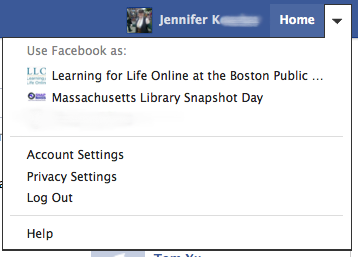 In upcoming Learning for Life Online posts, we’ll walk through more of Facebook’s features, including the privacy settings and photo albums. In the meanwhile, talk to a friend or relative who’s been on Facebook if you get stuck anywhere. You probably know a few. This entry was posted in Basics, This Week on LLO, Tools and tagged facebook, facebook pages, social networks on July 7, 2011 by Jennifer Koerber.